Reality TV Hangover is the Podcast that turns Reality Television into a party. Our episodes are meant to help you through any hangovers you might be experiencing. There’s no better way to recover than by listening to us! (Disclaimer: Reality TV Hangover is not a doctor.) 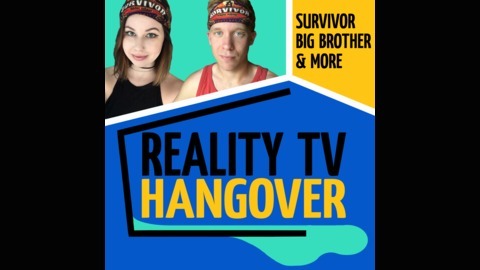 Hosts Colin & Jenny cover Survivor, Big Brother, Big Brother Canada, Australian Survivor & More! 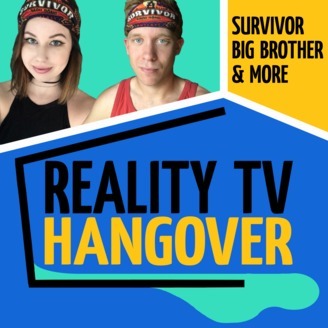 Visit the Reality TV Hangover website at: realitytvhangover.com & follow us on twitter @realTVhangover Also follow your hosts: Colin Latchford: @ColinLatchford Jenny Conroy: @jennyautumn. After a lengthy hiatus, Jenny & Colin are back to preview Survivor Ghost Island and draft the cast. Beforehand, we do a round-up of other reality shows and celebrate our 2-year podcastiversary! So blow the sand out of your hand (like Jacob Derwin), pick up your headphones, and give it a listen!